Welcome. My name is Holly Van Hart, and I’m glad you’re here. My abstract nature paintings are meant to spark new excitement about the limitless opportunities we have in our lives. Whether you’re an experienced art collector, or just curious about the art scene, you’ve come to the right place to get inspired! 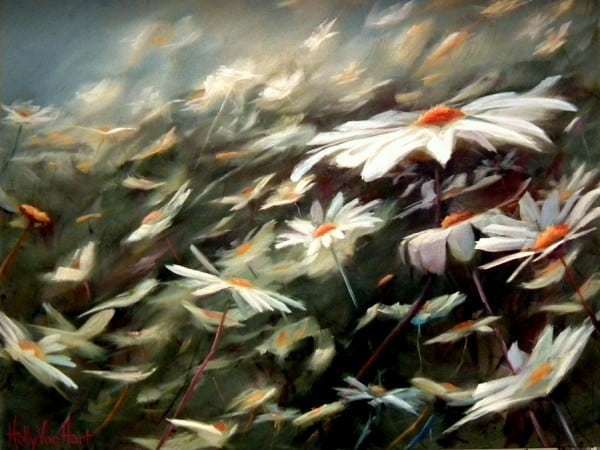 The daisies in ‘Field of Dreams’ represent our dreams. Some dreams are bigger than others, some are growing and developing, and others are on the decline. All of these dreams are dancing around through the turbulence and beauty that we call life. Here’s wishing that our biggest, boldest dreams come true! 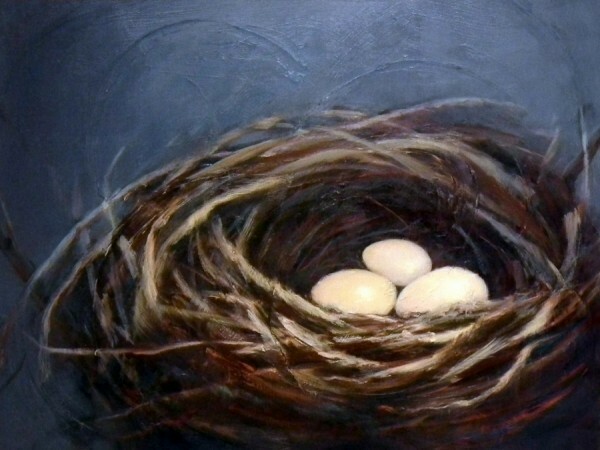 The nests in my paintings are meant to evoke the boundless possibilities we have in our lives. Larger-than-life eggs and nests symbolize the promise of our own capabilities, to be nurtured and explored and stretched to their fullest potential. 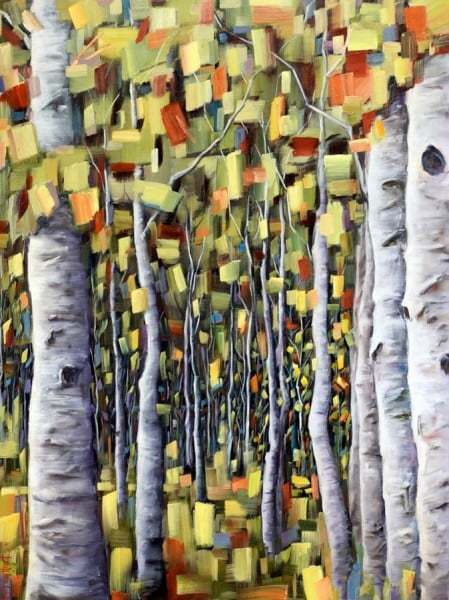 ‘Forest Reverie’ represents the beginning of a new year or a new season. Colorful opportunities sparkle all around us, and beckon us to reach them. Will we pick the closest, easiest one, or will we stretch further to find our passion? For an electronic catalog of all available paintings, click here.